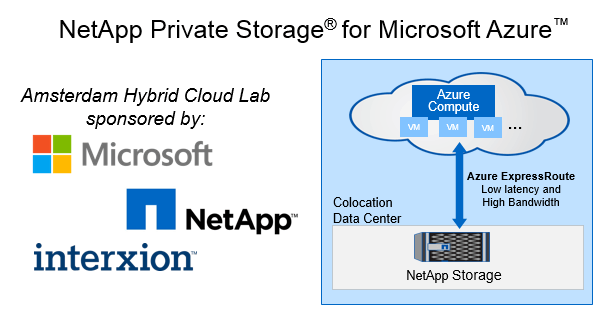 Not too long ago NetApp, Microsoft, and Interxion came together to sponsor a hybrid cloud lab with NetApp Private storage for Azure nearby my office in Amsterdam. When someone was needed to set this up I jumped at the chance! For those unaware of the solution, the basic premise is to use the Hyperscaler providers for elastic compute while maintaining ownership of the data and gaining the rich data management features of NetApp. 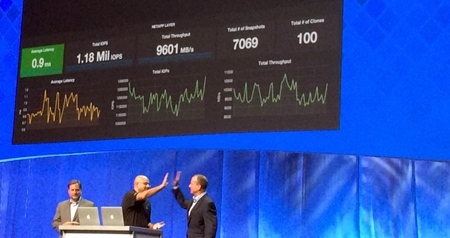 I just got back from NetApp Insight 2015 in Berlin and what a time it was! One highlight for me was seeing the power of NetApp Clustered Data ONTAP scaling a database workload from 22k IOPs on a Hybrid array all the way up to 1.2 Million IOPs on an all flash one with no disruption, while at the same time maintaining hundreds of snapshots and clones. Wow. What other storage system on the planet can do that? UPDATE (11-Nov-2016): Grafana 3.1.1 support is available with NetApp Harvest v1.3. Download NetApp Harvest v1.3 from the NetApp Support Toolchest. If you must use Harvest 1.2.2 and desire dashboard updates keep reading this blog entry. Recently Grafana released v2.5 with a host of new features: Included in this major release was some additional error checking on singlestat dashboards to ensure only one metric series was passed; previously multiple were allowed and it would just display the first one (see Issue 2745 if interested). So you have Graphite + Grafana up and running and want to get metrics in there from your NetApp storage systems and discovered there are two options: OnCommand Performance Manager ‘External Data Provider’ feature NetApp Harvest collector on the NetApp ToolChest Your next question was probably which one is right for me? The answer is, as with many things, “it depends”. Some history here. A long time ago (maybe 2yrs now) I created Harvest and socialized it internally. I got an email from a colleague asking if I had any ideas for a customer need of presenting CPU busy across a set of systems. He wanted both average and percentile values over a specified timeframe. In his case it was NetApp cDOT storage array nodes, but the concept could be applied to whatever group of systems you happen to be interested in. I hadn’t yet used the repeat function added in Grafana 2. I’m pleased to announce that NetApp Harvest is now posted to the NetApp ToolChest! NetApp Harvest is a data collector that fetches a wide set of performance metrics from NetApp cDOT and 7-mode storage systems, and capacity info from Unified Manager 6+, and posts it to an open-source Graphite metrics server. It also imports 19 dashboards containing over 500 graphs into Grafana to make viewing it all a snap. I am just thrilled with the results and I hope you are too. The open source metrics software Graphite is brilliant. To get it up and running however is not so. The ‘official’ documentation is quite generic, and the packaged versions (on EPEL and via PIP) have their own issues on some Linux flavors. So I usually end up searching Google to hopefully find a working recipe for the Linux flavor of the day on someone’s blog. And when I’ve done that invariably it still doesn’t work. Back in 2012 when NetApp first added SAN protocol support to clustered Data ONTAP I created a short video to show how easy and non-disruptive it is to move a volume (containing one or more LUNs) around in a cluster. Although a bit dated, the feature is as powerful as ever! 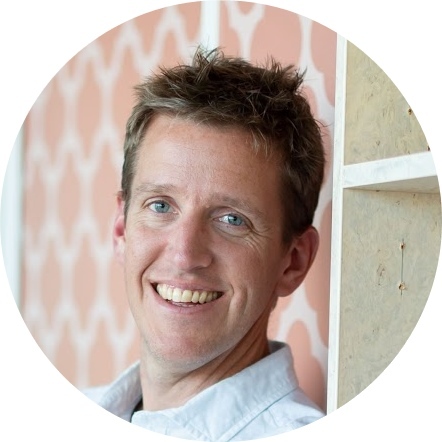 From an operational perspective being able to move data without impacting users or reconfiguring clients is huge. If you want to re-balance for capacity or performance (including from spinning disk to hybrid to all-flash!